Each country has its own unique features. 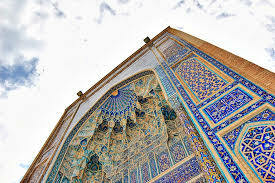 Uzbekistan is a real treasure trove for lovers of ancient majestic monuments that are not subject to time. LLC “Elite tours” organizes for you a profitable trip to Uzbekistan at a high level. Like any other trip, a trip to Uzbekistan should be planned in advance. Getting a visa, choosing a tour, buying all the necessary things – all this takes time. This is especially true if you want to visit Uzbekistan at the height of the tourist season, which lasts from May to October. What is worth paying close attention to? First of all, one must visit one of the ancient cities – “open-air museums”. Samarkand, Bukhara, Khiva and many other cities will give you the opportunity to travel through time, feel like part of a story that you probably did not know about. For completeness of impressions, enjoying the amazing city and natural scenery, be sure to try the dishes of national cuisine. To learn more about the culinary arts of Uzbekistan will allow visiting the teahouse. These are places where people gather with their family or friends to taste delicious national dishes – pilaf, shish kebab, shurpa, naryn and many others. Enjoy also a pleasant conversation over the cup of hot tea, which sweetens the oriental delight of nawat – Uzbek sugar crystal-shaped, usually yellow or beige. Do you like active rest? Then the trip to Uzbekistan will definitely not disappoint you. Hiking, climbing, grandiose panoramic views will ensure you a holiday in the Chimgan mountains. In summer, there are numerous recreation areas with all amenities. In winter everything changes here – the slopes of the mountains are covered with a dense snow carpet. If you are in the mountains at this time of year, be sure to climb the cable car of Big Chimgan and make breathtaking photos against the background of snowy peaks. A trip to Uzbekistan guarantees the guests of the country an excellent rest, a wonderful mood, sincere hospitality and, of course, a sea of ​​impressions. Do not miss the opportunity to enjoy an exciting trip together with LLC “Elite tours”!